Conjunctivitis – or ‘pink eye” - has spread across the country. After numerous cases reported, the Ministry of Health (MOH) issued a press release on September 20th, stating that the Northern and Central Health regions were most affected. San Pedro Town is in the Central Health Region, and according to Belize District Primary Health Care Coordinator Dr. Javier Zuniga, there have been an alarming number of cases reported at the Dr. Otto Rodriguez San Pedro PolyClinic II. “We have been having 20 or more persons per day with cases of pink eye…mostly children,” said Doctor Zuniga. 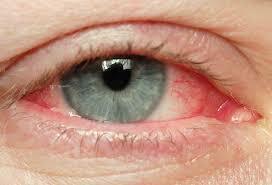 Conjunctivitis is an inflammation or swelling of the conjunctiva which causes irritation and reddening of the eyes. It is caused by bacteria or viruses which can spread easily from person to person, and it causes redness of the eyes, watery or pus-like discharge, graininess or burning of the eyes, etc. As pink eye is highly contagious, many residents are concerned about contracting it from an infected person, especially children who are currently in school. As such, on Monday, September 25th, the Ministry of Education, Youth, Sports & Culture has asked teachers to take precautionary measures. San Pedro High School administrators have confirmed many cases of pink eye in their classrooms, and have been sending home their students to avoid the spread of the contagious infection. Ambergris Caye Elementary School’s principal also confirmed several cases at their school too. Besides sending home the infected students, they are also highly promoting the proper washing of hands, even providing hand sanitizers, and cleaning their classrooms thoroughly. Employers are also asked to exercise caution with this highly contagious epidemic as well. Steps to prevent contracting conjunctivitis includes the proper washing of hands, and avoid touching the eyes. It is not recommended to use contact lenses or sharing personal items like makeup, brushes and pillows. The MOH advises everyone to limit physical contact with anyone suspected of having conjunctivitis. Any person that is showing signs of pink eye is advised to seek medical attention and stay at home until they are well.